Mitor Publications. First Edition 2007. 156 pages and well illustrated with photographs. Fine condition hardback book and dustjacket in a slipcase. A super copy. 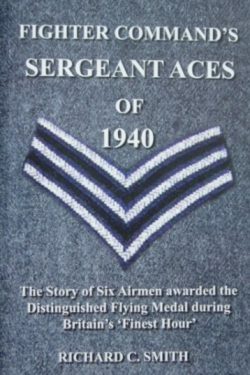 This book tells the story of six men who joined the RAF and served as Sergeant Pilots in Fighter Command during the Battle of Britain. Each biography covers their early years and their wartime experiences during 1940, told through their own words or from interviews with family, friends and wartime comrades. For their outstanding dedication and skill, each was awarded at least one Distinguished Flying Medal. 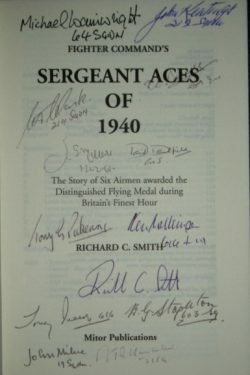 An excellent collection of signatures in a well researched book.